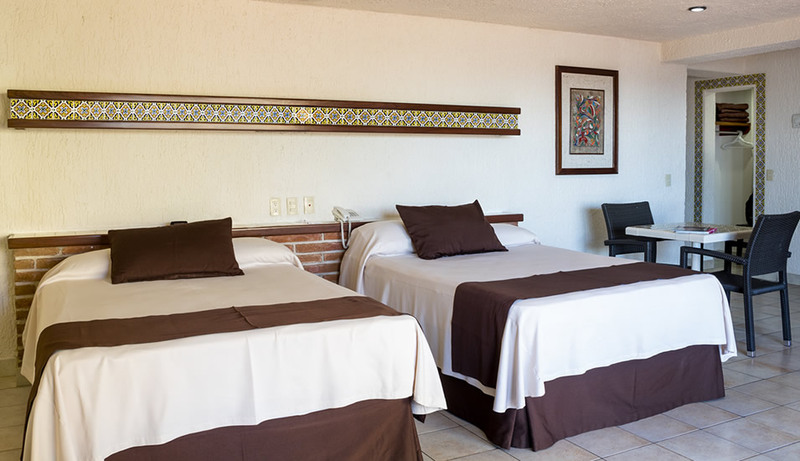 If you are looking for Hotels on the beach; come and visit the premier beach hotel in Mazatlan. 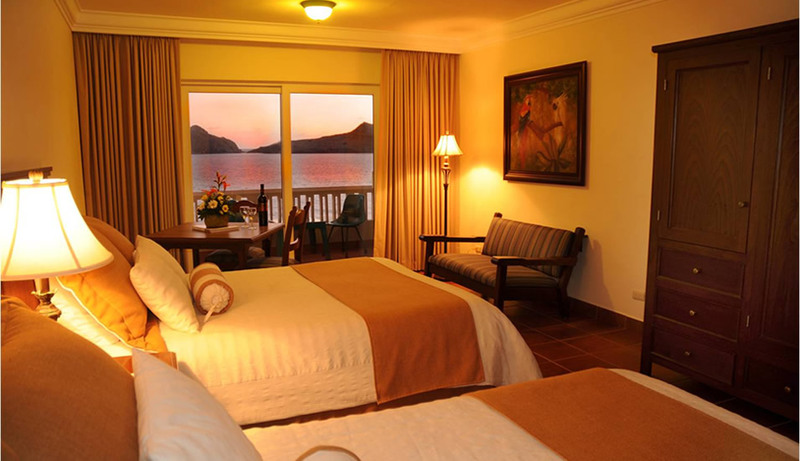 Hotel Playa Mazatlan is situated on one-quarter mile of pristine beach front in the heart of Mazatlan’s aptly named Golden Zone. 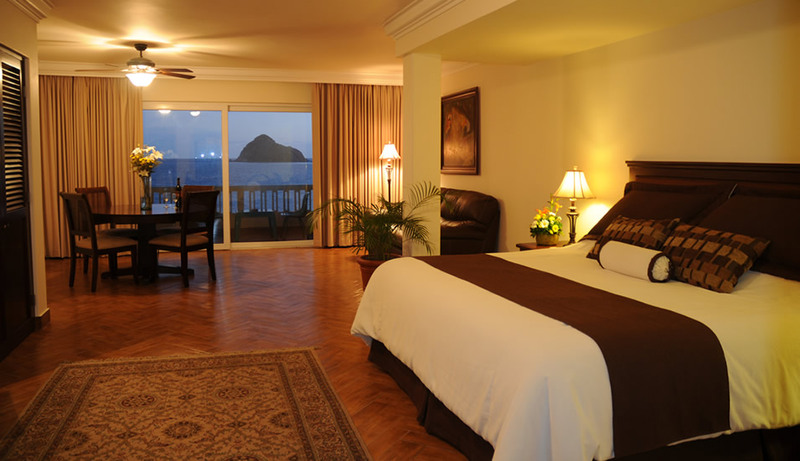 You’ll find miles of sandy beaches and gentle surf at your feet, while iconic and secluded islands beckon for you in the distance. 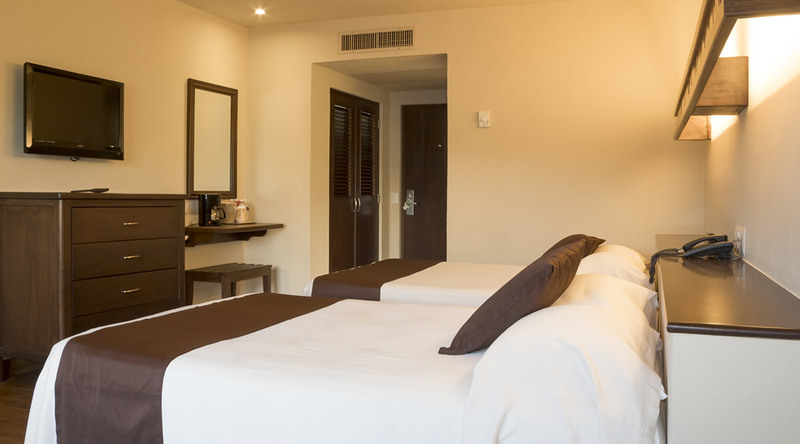 Enjoy vistas of the Pacific Ocean amidst lush landscapes of turquoise pools and pal-thatched palapas, world class waterfalls and Koi ponds, multiple pools, fountains and award winning water features teaming with water-lilies and local flora. 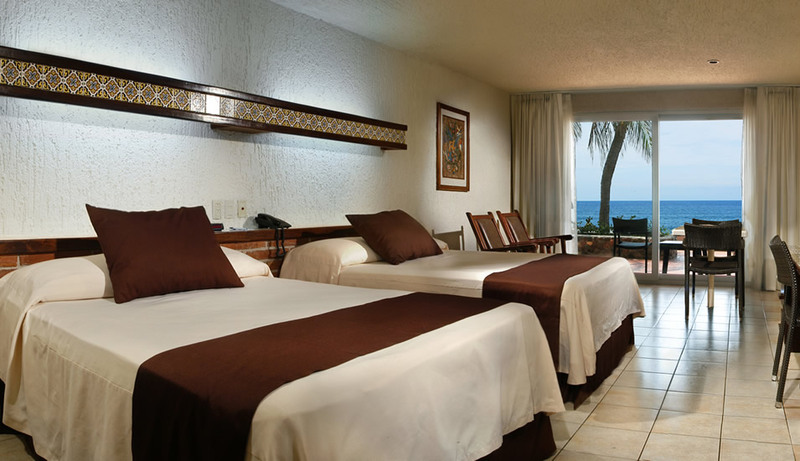 The Hotel Playa Mazatlan has 400 rooms available for your lodging needs with a variety of options such as: Standard rooms, Garden View rooms, Ocean Front rooms, Junior Suites, Deluxe rooms, Penthouse Suites and multiple choices for adjoining rooms suitable for families and groups of all sizes. 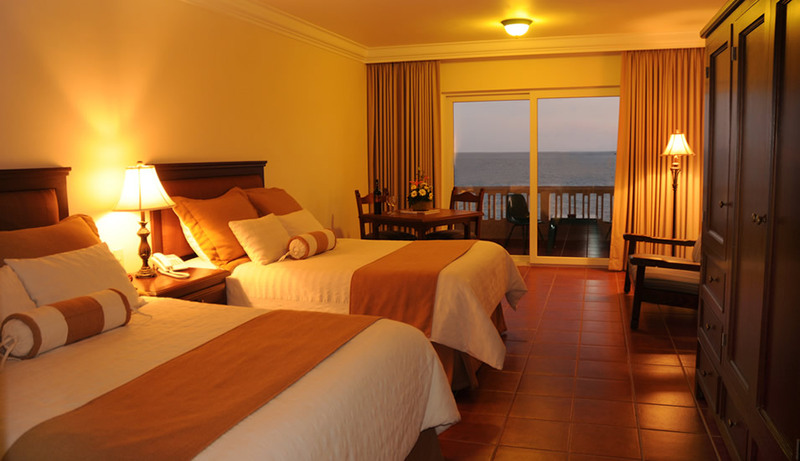 Each of our rooms regardless of “type” includes a terrace or a private balcony where you may enjoy our Golden sunsets and windswept vistas. 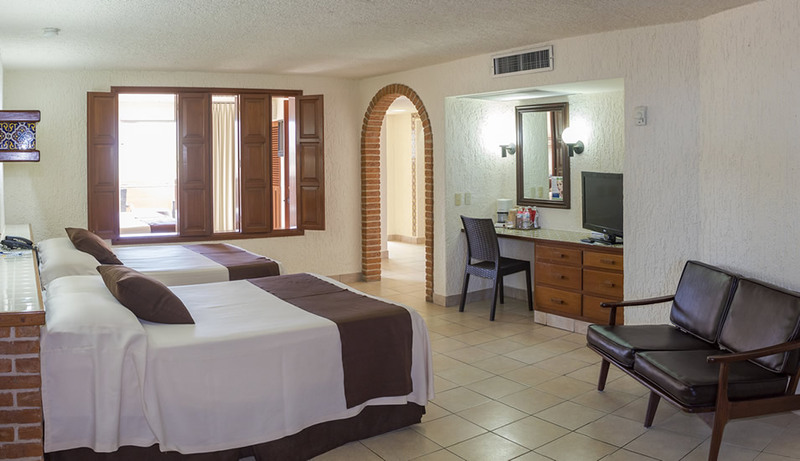 Once inside your rooms, you will find yourself in a clean, comfortable, inviting and brightly decorated space featuring closets, satellite TV, full bathroom and in most cases Wi-Fi internet access. 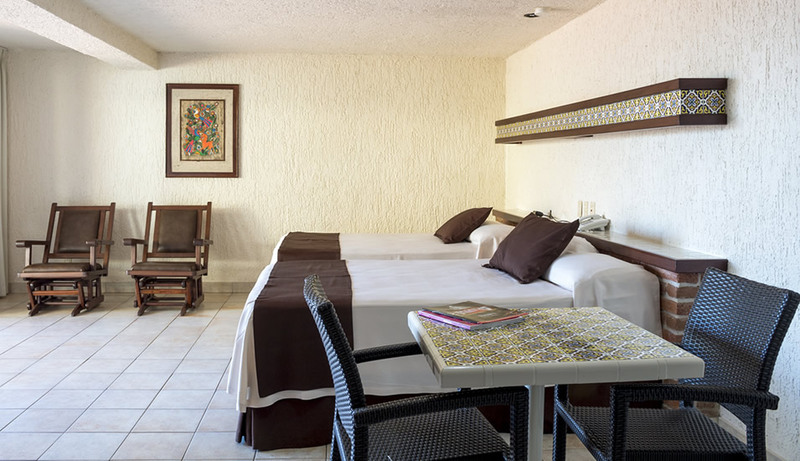 The Hotel Playa Mazatlan is comfortable, quiet Garden View Rooms envelop you in the peaceful ambience of tropical greenery. 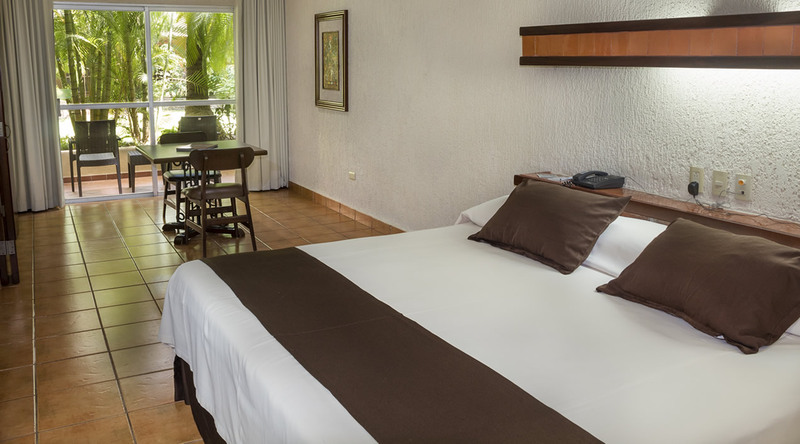 Our lush gardens include waterfalls and ponds, palms, bougainvilleas, ferns, philodendrons and more. 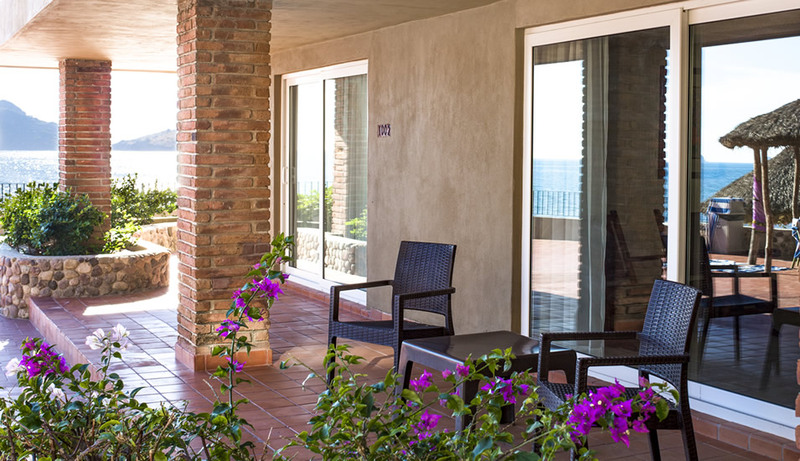 In the Hotel Playa Mazatlan’s Ocean View Rooms, sliding doors open to your private balcony or patio, where you can enjoy the wonderful view of the sparkling waters of the Pacific Ocean and its fiery sunsets. 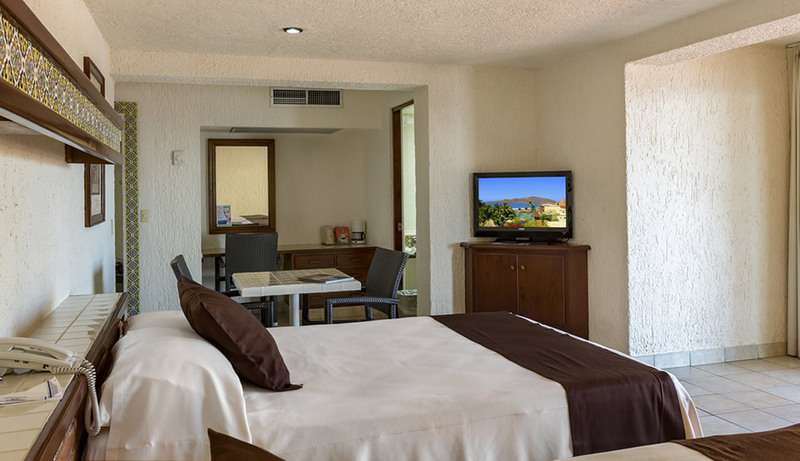 The Hotel Playa Mazatlan has taken the best locations in the hotel and added lots of upgrades to make our Deluxe Rooms as memorable as the fiery sunsets you’ll see every day from your private balcony. 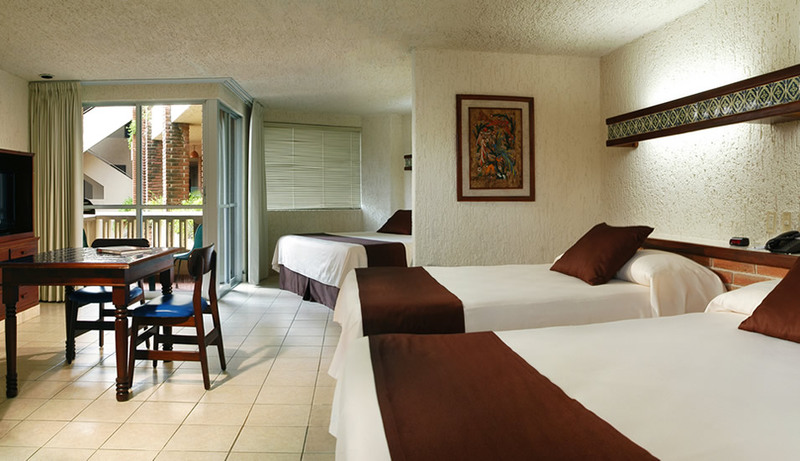 Take the stress out of traveling with children by staying in one of the Hotel Playa Mazatlan’s Family Rooms. 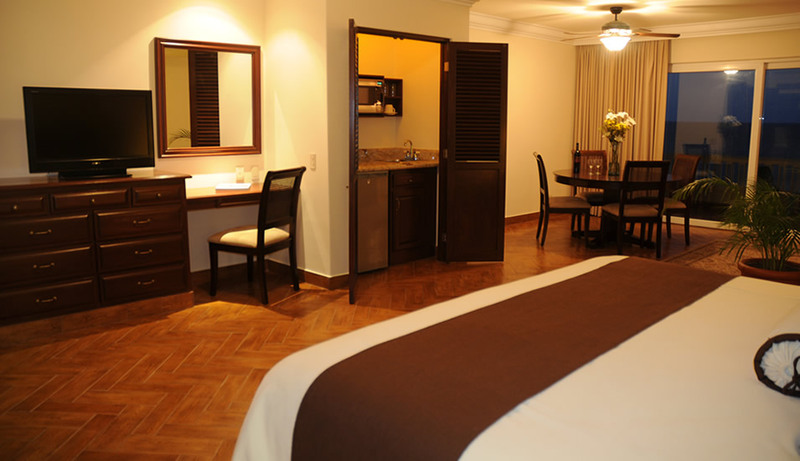 Two bedroom areas are either in separate rooms or partitioned off, each with one king and two double beds. 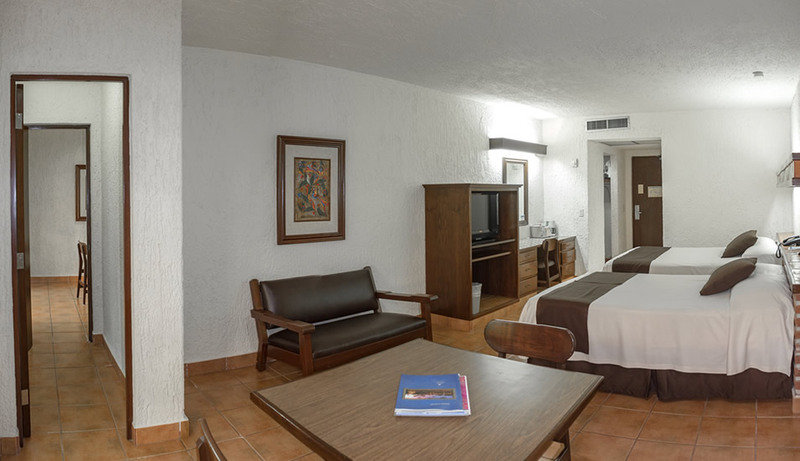 The Hotel Playa Mazatlan’s Superior Family Rooms are perfectly suited to make your vacation easier, more comfortable and more affordable! 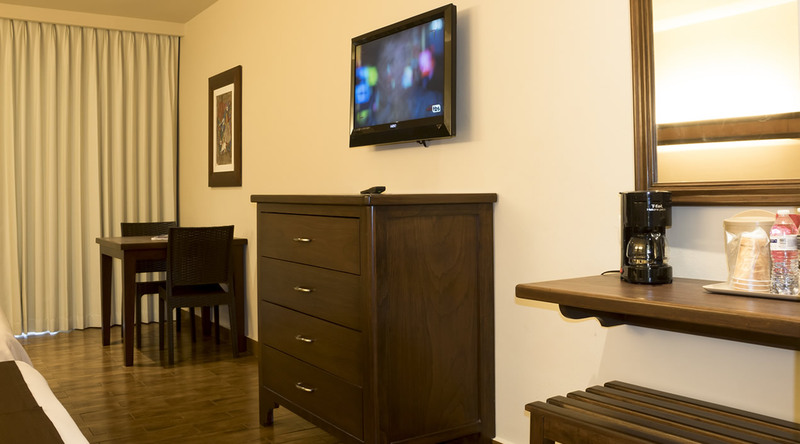 Superior Family Rooms are two rooms paired together. 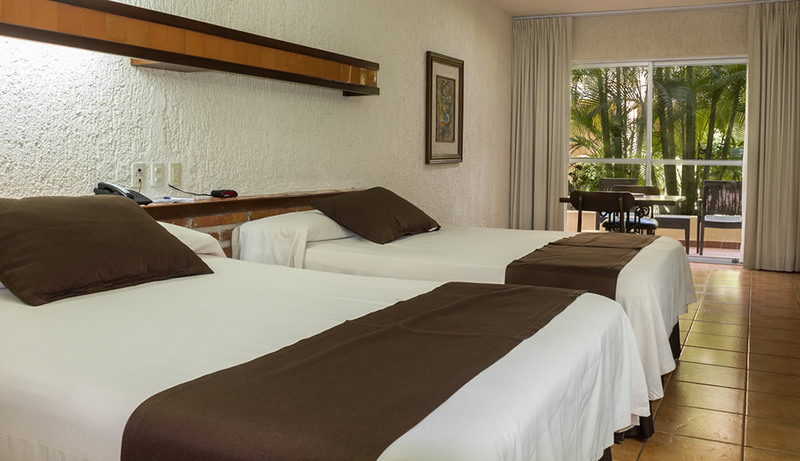 Available only if you book directly with us from March – April 12 & April 28 - June 30, 2019. 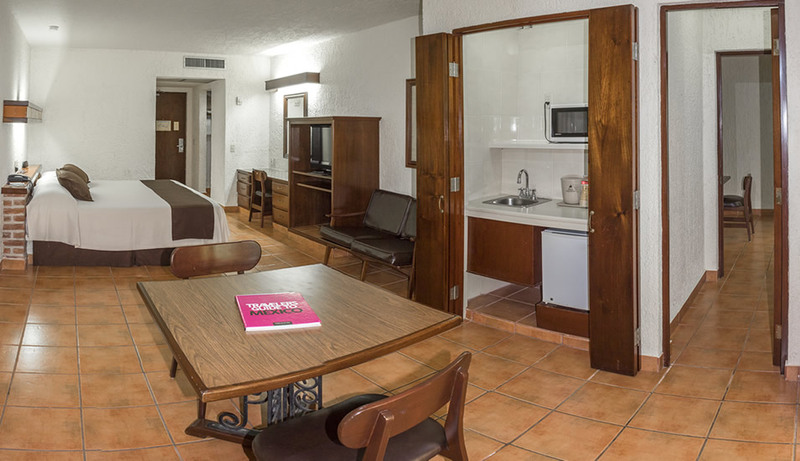 ROOM UPGRADE available booking by CHAT or FACEBOOK (subject to availability). 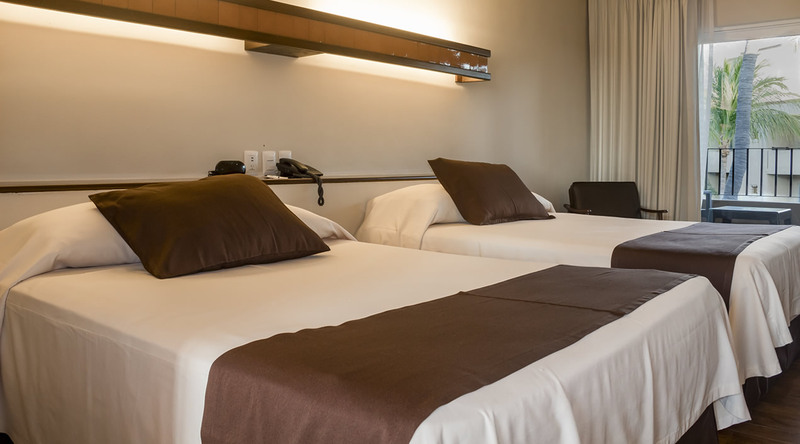 Available only if you book directly with us from March 18 – April 12, 2019 (except Holidays). 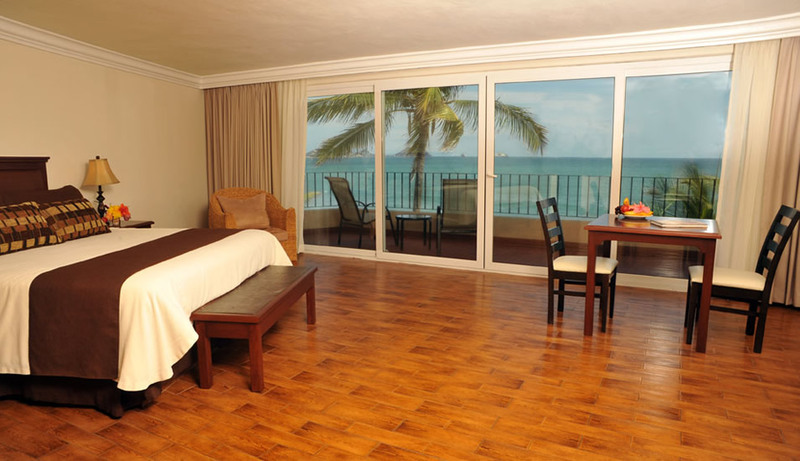 **** All Inclusive Plan does not apply.